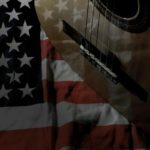 Music floats through the halls of the Eagles’ Nest Community Living Center at the Atlanta VA Medical Center. If you are there at the right time, you can hear residents singing the classics. Sittin’ of the Dock of a Bay. Georgia On My Mind. You Are My Sunshine. It is a partnership between the V.A., Metro Music Therapy and the Alchemy Sky Foundation. The residents, sometime as many as 25 at a time, come together to make music, tell stories and enjoy each other’s company. “We are so grateful for having Music Therapy as a part of our recreational therapy program. Watching a resident’s spirit light up when they are given the opportunity to sing a song or play an instrument gives me great joy to witness. Residents look forward to music sessions and are constantly asking ‘When are we having music therapy again? '” said by Jayna McGhee, CTRS at the Atlanta VA Medical Center. Instruments and equipment are provided by Metro Music Therapy and the Alchemy Sky Foundation. The workshops create an environment where all of the residents can participate at their pace. Using hand-percussion instruments, vocal microphones, recording devices and therapist-led live music, everyone can enjoy and connect with the healing power of music. Mallory Even, Owner of Metro Music Therapy, is a leader in the field of Music Therapy. “We envision a day when all of our patients and clients, from their first breaths until their last, will be given the opportunity to grow, heal, and thrive through their involvement in music therapy services.” Her organization has six licensed and board certified Music Therapists with offices in Atlanta and Orlando as well as a continuing education school for MT-BCs that launched last year. Rounding out the partnership is the Alchemy Sky Foundation. ASF brings the healing power of music to those who need it. ASF partners with organizations in the community as well as a broad network of music and mental health professionals to create needs-based programs for its clients. 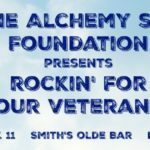 “We are deeply honored to have the opportunity to support this healing program for our servicemen and woman,” said Jaye Budd, Founder of the Alchemy Sky Foundation.